Text-To-Speech - About Ivona Reader | Text To Speech by Harpo - Harpo Sp. z o. o. Software that reads aloud text from computer screen – a few words about speech synthesis. Nowadays, almost everyone has technologically advanced hardware (laptop, tablet, smartphone) and uses it at home, school or work. It can be said that these are essential devices that help in communication, broadening one’s knowledge and providing entertainment. However, there is a group of people for whom exploring the world of computers and Internet can be problematic. These are people with visual impairments or people with other disabilities like speech impairments. Text-to-speech and specialized software that reads aloud text from a computer screen is a particularly useful solution for these groups of computer users. Text-to-speech or speech synthesizers – what are they? Text-to-speech, or TTS is a type of speech synthesis application that converts digital text copied usually to the computer clipboard into a spoken voice output (speech). Text-to-speech is executed by special software called speech synthesizer or voice. When you want the voice to read out you need some other software. Visually impaired people use programs called screen readers, e.g. Supernova Access Suite . Voices compatible with screen readers can read aloud any text on your computer screen, read out documents, emails, subtitles from movies, or e-books. Persons who need the speech for communication use special communication software that can transfer text to text-to-speech engines, e.g. The Grid. Regular users can benefit greatly by using some other software for various tasks like reading film subtitles, convert text to audio files, etc., like this one: Speech2Go. Ivona voices belong to the most respected and highly valued synthetic voices on the market. Ivona synthesizers are available in many languages, there are also male and female voice options. 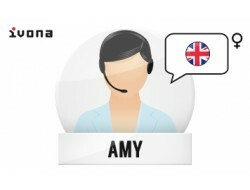 Amy, Brian, Marlene, Sally, Joey are the examples of Ivona text-to-speech voices. There are of course many more voices and new ones are added to the voice portfolio. Ivona synthesizers are high quality voices that are clear, accurate and human like. Synthetic voices can put stress on words at the end of a sentence, change pitch on words in questions or interjections. By changes in the intonation these voices sounds much more natural. With synthetic voices you can read aloud the whole text, spell words or pause at any time. You can even modify the so called exceptions, in other words, you can change the way words and phrases are pronounced. So that foreign and mispronounced words can be read correctly. Through the use of Natural Language Processing algorithms the synthesizer converts the symbolic linguistic representations into natural sounding speech with appropriate intonation and many other features of human language. In addition the speech rate can be sped up or slowed down, the volume can be turned up or down. The speech parameters can be customized to the individual needs of the user. Nuance Vocalizer Expressive is a text-to-speech solution that provides enhanced expressivity for more natural sounding speech in a variety of applications and technologies. Natural sounding voice: Seamlessly combines dynamic text-to-speech with pre-recorded audio and tuned text-to-speech segments to generate audibly pleasing speech output. 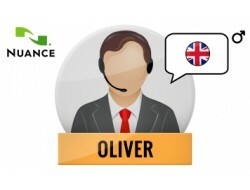 Localized for global audience: Nuance's broad language coverage supports more than 50 languages and features more than a hundred different voices to reflect global need and audience. Multi-use solution: Vocalizer Expressive enriches the user experience in a variety of applications ranging from automotive and consumer electronics to assistive technologies. Despite the use of many technological improvements the speech synthesizer does not always read everything correctly and sometimes sounds artificial. However, there is no doubt that speech generated by synthetic voices is very helpful for many people improving the usability of various applications and devices. The speech synthesis and Ivona voices are constantly improved. So we can assume that text-to-speech will empower people with visual impairments or people with other disabilities user-friendly access to their devices. These voices can also be applied in many different areas of everyday life, communication systems and services.